In the data rich online world, presenting the information interactively to the user is the major challenge content creators face. The important factor for a successful website is, it must interactive and engaging. If you ever happen to see any top service providing site’s pages, you will find that pages with free tool get more interaction from the user and also drives more traffic. It is one of the main reason why many Software as a service company sites provides a tool in the header section of the homepage. The modern website has evolved a lot and gives you plenty of interactive web elements. Few years back java scripts are used to create animation effects on the site, this made the templates heavier and takes time to load. The HTML5 inherits lots of animation effects in its core feature, so now you can make lightweight interactive animated website templates easily. Following are the best interactive templates you can use to engage your visitors and reduce your bounce rate. All the interactive website templates mentioned in this list are premium templates, so you get support from the author if you need. 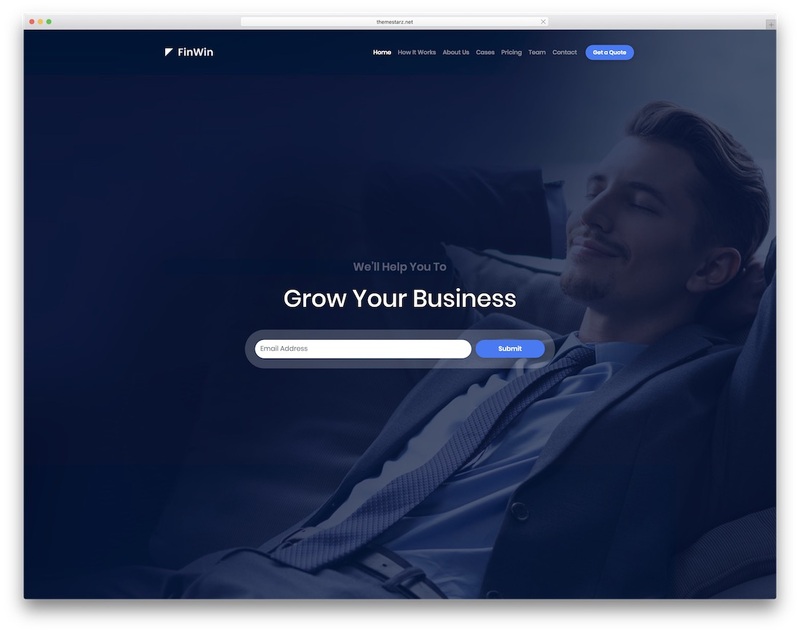 FinWin is not just your ordinary interactive website template intended for business finance pages. This simple clean, yet elegant, template will showcase your products and services in an extremely professional manner. Created mainly for business enthusiasts, FinWin offers flexibility and customizability. A testament to its pliable design and interface, you can easily convert and use FinWin for various purposes including finance, consultancy and other business services. To help its users properly organize website content, FinWin provides simplicity and straightforwardness regarding editing and adjusting it. Apart from the ease in organizing content, it is also based on Bootstrap 4 to ensure your outcome to be responsive and mobile-ready. There is going to be a small amount of effort from your end needed to have a functional page ready and set in as little time as possible. Start strong and boost your business high. With the cryptocurrency craze, chances are, you are running a business that is part of the industry. Or you are planning on starting a crypto project but still need to sort out your web space. 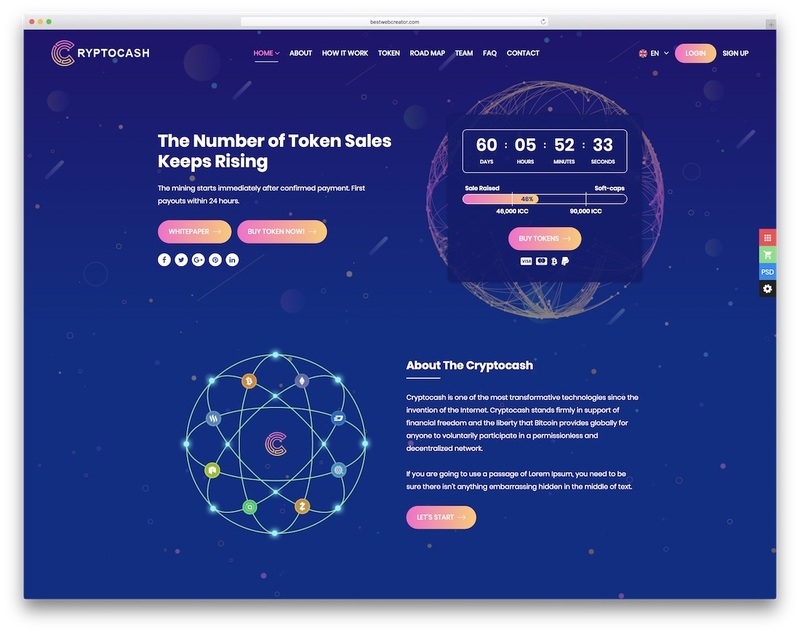 Either you are after a site redesign or building a fresh one, Cryptocash is the interactive website template ideal for the coin market. 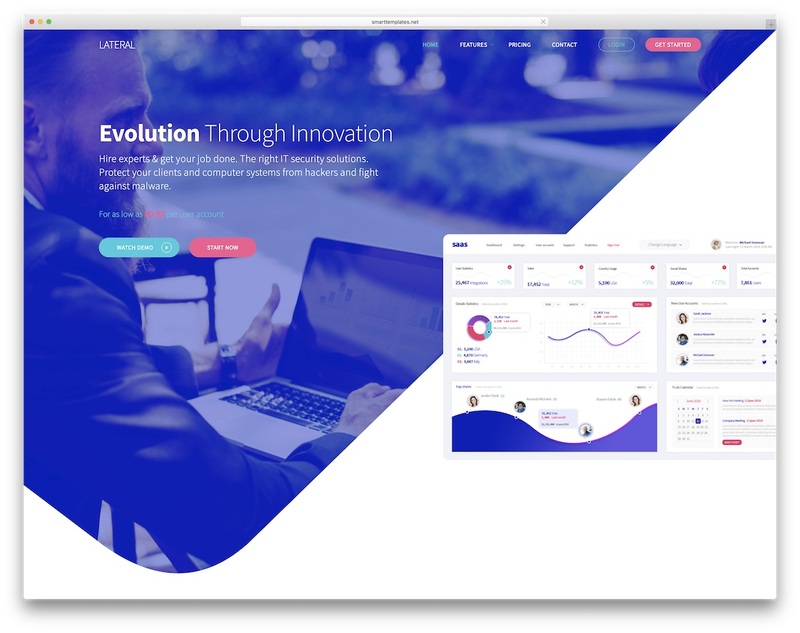 It is an ICO and cryptocurrency landing page tool with six modern and nifty demos. There is also an additional multi-page sample with eighteen internal pages included in the package. Cryptocash has many excellent features and assets that will take your project to a new degree. 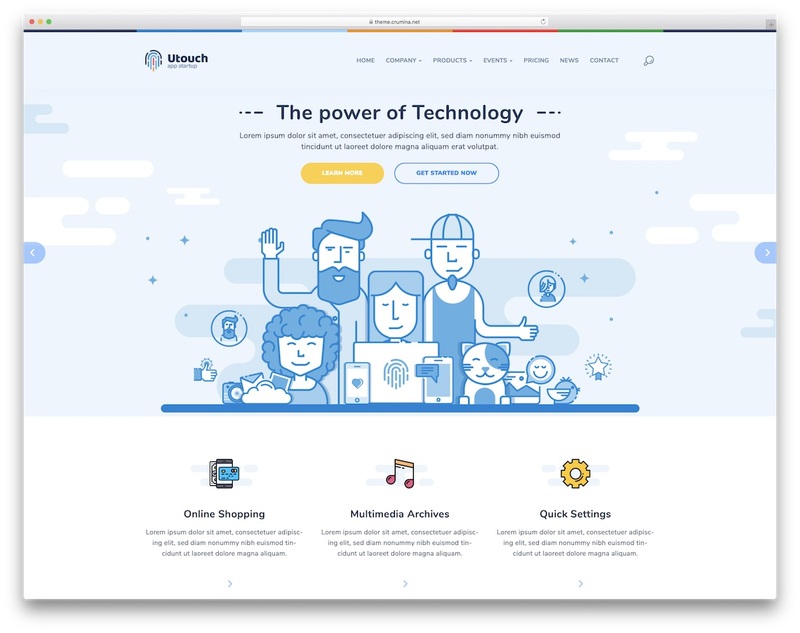 From unique elements and parallax effect to search engine optimization, awesome animations and optimized for fast page loading speed, Cryptocash is a cracking tool. In-depth documentation is also part of the gem to guide you through page establishment. The name of the next template is pretty self-explanatory. 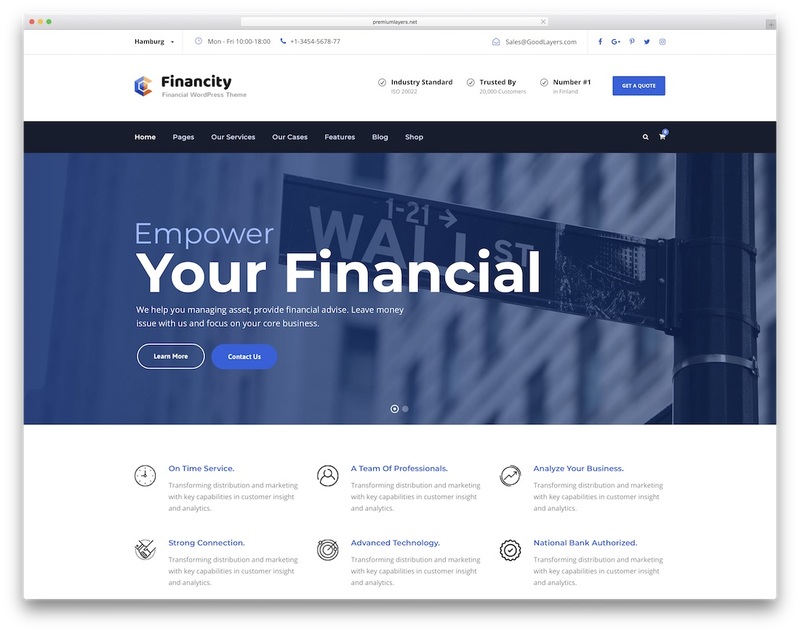 Financity is an interactive website template for financial businesses and all that comes along. Besides, Financity allows you to customize it however you fancy and even use it for something entirely different. The web design is professional and sophisticated with a minimal touch to it what gets it adapt to other projects easily. Do your thing and have a distinct website ready to go live in a breeze. Financity offers you to choose from three ready-to-use demos which all are attention-grabbing and interest sparking. To complement front layouts, Financity also provides all the necessary internal pages to put together the must-have online presence quickly. Many shortcodes are at your service to modify and make it follow your needs to the very last detail. There are also different portfolio layouts and three working contact pages with google maps, as well as blog. Many are after Lateral interactive website template due to its distinctive and functional design. While it is keeping things simple, Lateral is still a very smart and refined tool for putting up a SaaS landing page. Its ultimate objective are strategically placed call-to-action buttons in order to prove an immediate response. 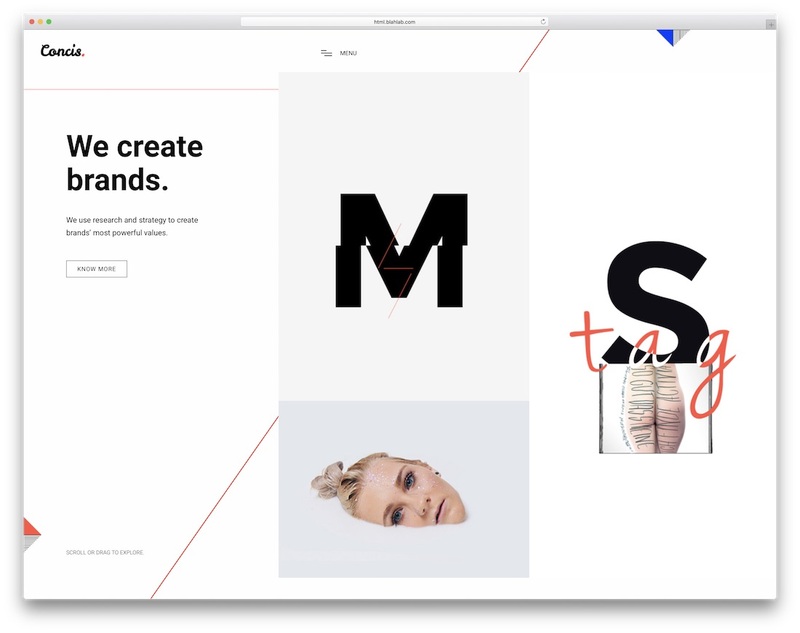 With such feature in mind, Lateral is an ideal template for companies and startups wanting to boost their web presence, as well as sales and downloads. Instead of leaving so much money on the table, it is time to take things into your hands with Lateral. 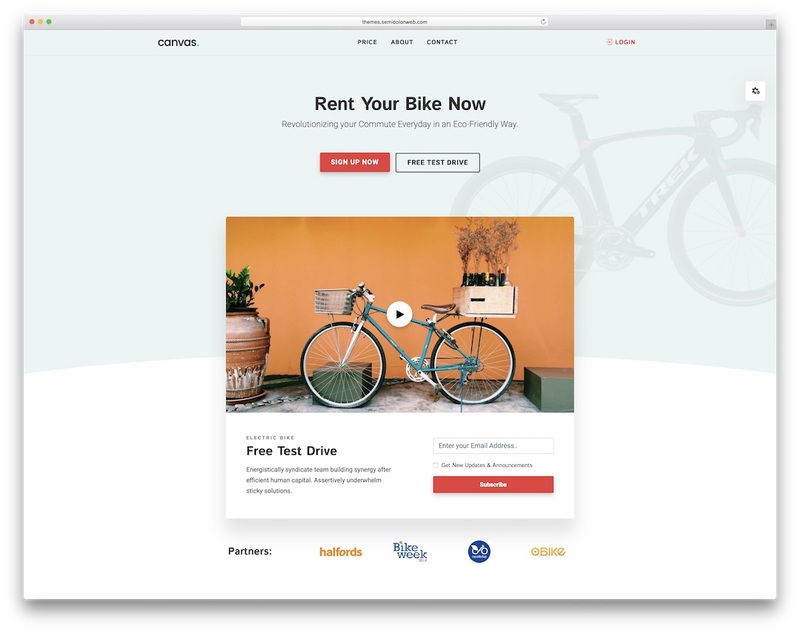 Since pretty much all of its elements are customizable, Lateral is the single-page layout template that appeals to entrepreneurs and marketers alike. However, with some tweaking and editing, this perfectly responsive tool may be converted to other software landers and mobile applications. It does not require much to change the initial design of any of the predefined eleven demos. 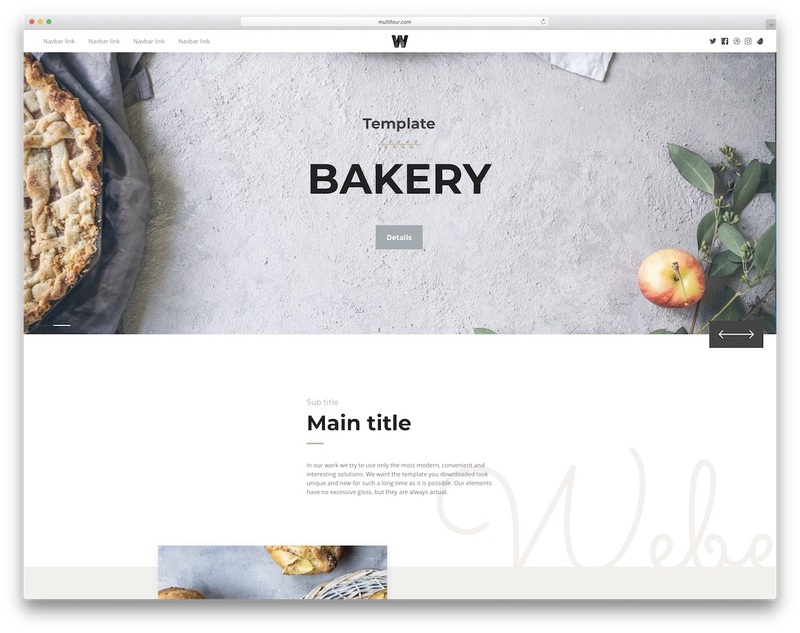 Weber is a large multi-purpose and interactive website template with an amazing and super helpful page builder, Supra. It is a Bootstrap 4 tool with over four hundred remarkable sections to truly create the look you want for your website. Whatever project you are about to start, it is Weber that will help you create a web space for it. Along with all those sections, Weber also has 31 pre-made demos that will serve almost every taste. And if you feel like something needs to be changed, by all means, edit it however you like. Animations, parallax effect, mega menus, carousels and a quick, simple and straightforward code editor are just some of the goodies you receive with Weber. It also has a cool form builder, loads of marketing services, eight types of preloaders and is entirely search engine optimized. If there is a lot you would like to do online, consider Weber. Flexibility, accessibility and customizability are all the characteristics of Qwilo multi-purpose HTML interactive website template. If you are in need of a reliable, highly responsive and robust customer-oriented page to build, Qwilo will surely match your demands. By offering a fresh, clean and modifiable environment, Qwilo will adapt to pretty much everyone. Bloggers, photographers, agencies, consultants, lawyers, you name it, all will fall in love with this template. Qwilo comes with over 22 multi- and more than ten one-page layouts that are all professional and high performing. With a small investment of money and time, you can have a solid online presence up and live shortly. 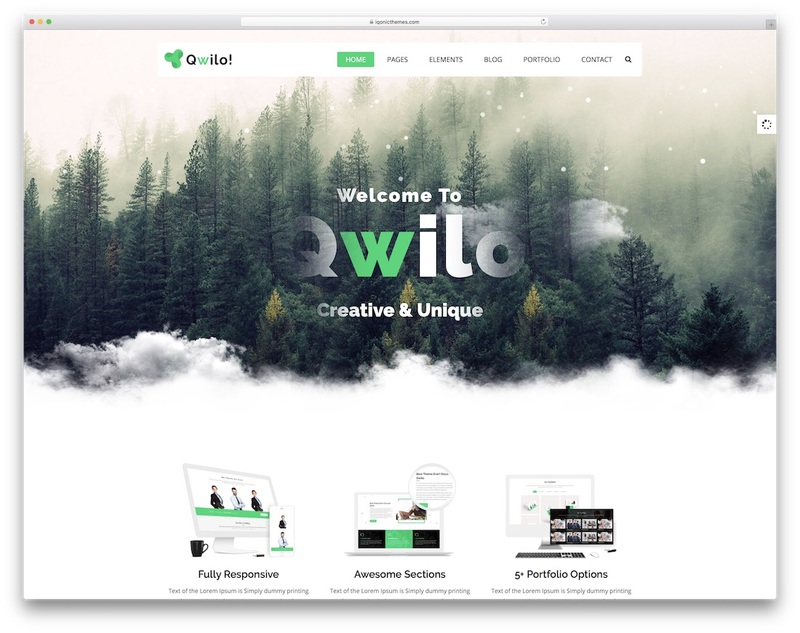 As for its main features, Qwilo offers neat headers, Revolution Slider, CSS animations, hover effects and animated skillbars. For a comprehensive, yet effortless to use template, Qwilo is ready for the download. With this collection of the world’s best interactive website templates, we try to be as versatile as possible. You already got a bunch of different tools but there are still more to come. Another great example is Clinkers. This template has its focus on industry businesses of nearly all types. Construction, building, machinery, engineering and similar websites are just around the corner. The fantastic Clinkers features three tidy homes that will kick-start your project and have it online in a breeze. Clinkers offers both boxed and wide looks, as well as loads of other handy features. The template is fully responsive and mobile-ready to work smooth and stable on all devices. It also has a clean and organized code to make any adjustments uncomplicated. Clinkers is retina ready, compatible with modern web browsers and includes a functional PHP contact form. Make every meeting or event memorable with Fizcon’s help. It is an interactive website template made for every coordinator with a strong passion for gathering small crowds of people or huge congregations. All layouts are fit for conferences, seminars, forums and other event-related cause. With four home variations and twelve inner pages to choose from, you will find what’s best for your needs. And, of course, you can also add your creative touch by updating the default look of Fizcon. 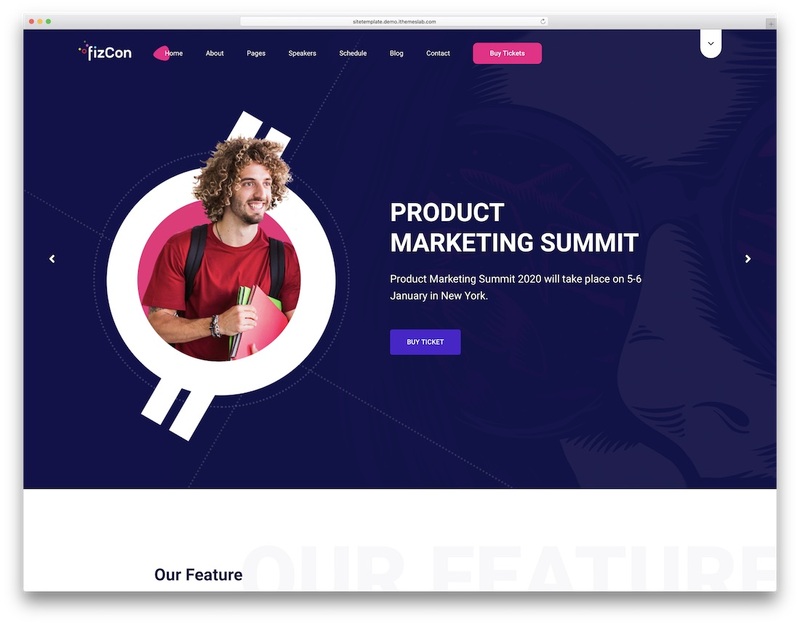 Core features of Fizcon include Bootstrap Framework, event countdown, unique parallax effects, transition effects, preset color schemes and more. Fizcon is fully responsive and cross-browser compatible as well to ensure your online presence runs seamlessly on all devices and platforms. The best part is that your site will be automatically SEO and speed-optimized which helps you rank higher in Google search and deliver a cracking experience. Like businesses who want to achieve fruitful triumphs, Cedia is also on top of its game when it comes to web design. This interactive website template is powered by Bootstrap which gives it the necessary flexibility and mobile-readiness. Moreover, Cedia is also very easy to use, yet the quality and performance are high-grade. The tool suits beginners and pros like a dream. Cedia comes with ten one-page demos that will help you on your journey to a quick and successful launch of your agency or online portfolio website. You also get features like sticky navbar, smooth scrolling, pricing tables, animations, video backgrounds and other engaging tools for your business website. The options are there, just download Cedia now and start benefitting from its amazing features and layouts right away. Communication is important for human or business development. The first step is to gather your people using a website tool that ensures functionality and design. Authorland is more than just an interactive website template – it is a companion you can depend on for all your needs. It gives it all the needed for a spectacular appearance of your website that will help you market your platforms, services and products like a professional. 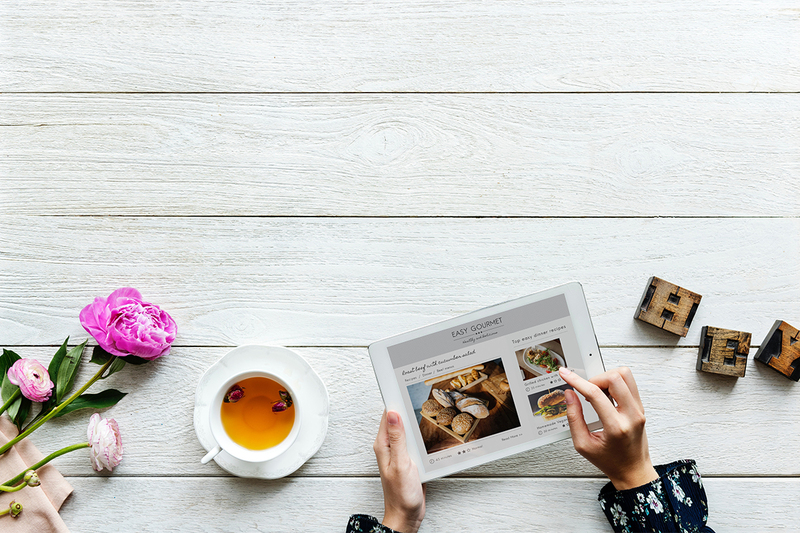 With this template, you can connect your customers together and elevate the selling platform like no other. Authorland has the most appropriate layouts and components for crafting a digital marketplace. Also, you wil get the chance to create landing pages, put your organization on the map, spearhead innovations and push engagement among your fanbase. Besides, you can also expect new material to drop with future template updates. 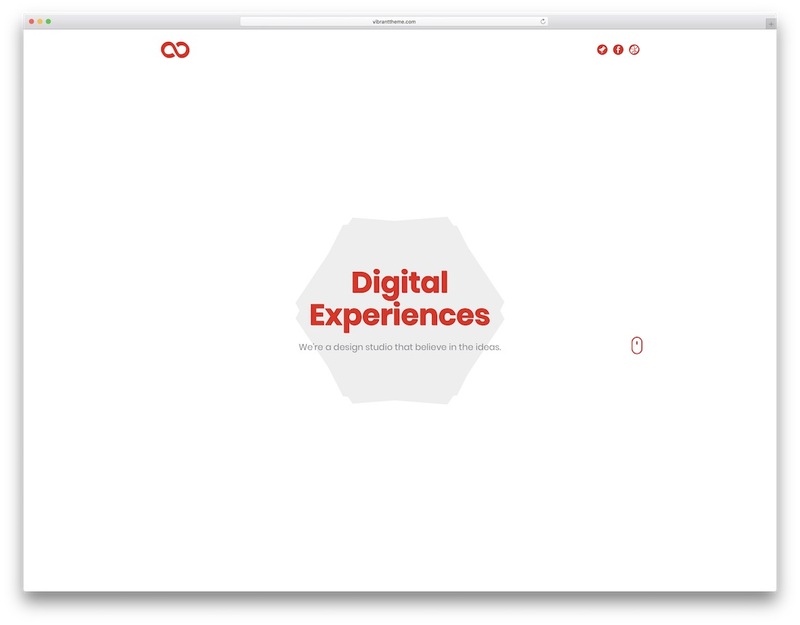 Concis is a fabulous, innovative and one-of-a-kind creative portfolio website template with an interactive web design. If you are a freelancer or an agency looking to bring your works and talent online and expand your brand, Concis will do you well. It is definitely the kind of a tool that will wow and impress all your visitors and potential clients, starting with you. While keeping things simple and clean, Concis is still a page canvas that you do not see on a day-to-day basis. Super cool and funky effects, terrific horizontal scroll and a menu overlay are some of the features you will notice first. 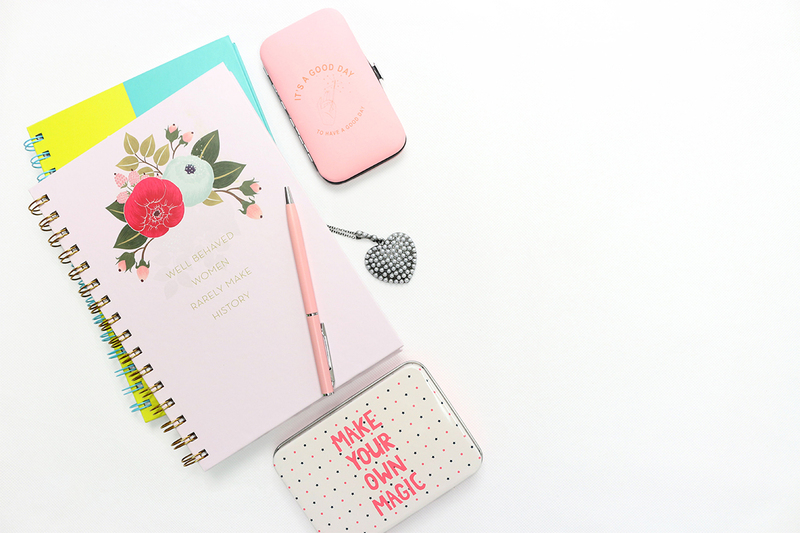 In the bundle, you will also find a blog which you can use as a standalone page easily. Customizable, responsive, retina ready and in tune with all modern web browsers, Concis is the one to investigate further. One thing is for sure, if you would like to stand out, Concis will help you do it. 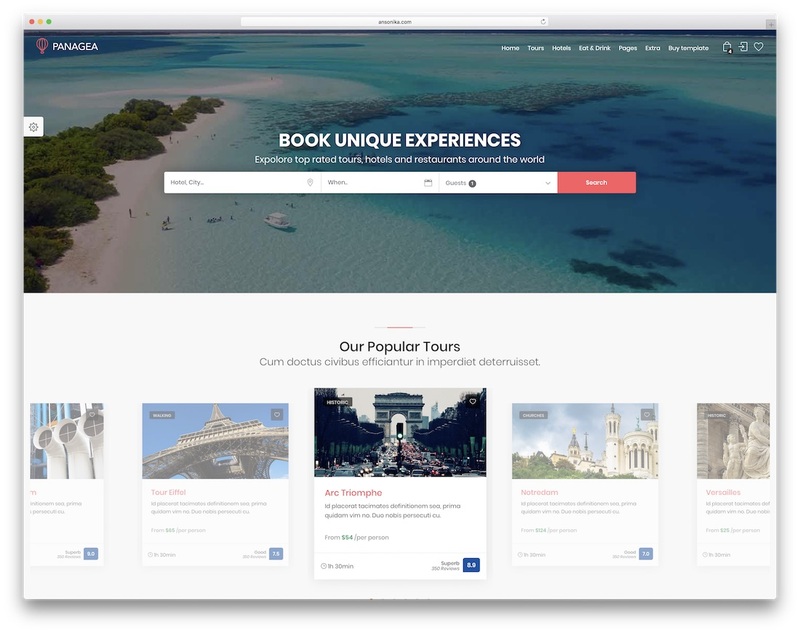 You could be an agency or an entrepeneur with a passion for traveling, if you would like to create a travel and tours listing page, Panagea is what you need. From front to inner pages, as well as a beautiful dashboard, Panagea has it all at your disposal. You just utilize the pre-made content and you are almost ready to hit the online world. Of course, you can customize it, too, and make it follow your regulations and other requirements you may have. Panagea is an interactive template that will serve you good. Multiple home page demos with an additional cookie version, five color presets, date picker, registration form with password strength checker, you name it, Panagea has a ton of useful material. Google Maps with a “get direction” feature, sticky sidebar, Owl carousel, Instagram feed and a solid mobile menu, the list of features and assets goes on and on. XeOne is a must download interactive website template that offers fantastic functionality for any startup both creative and business. There are many features and traits of XeOne that will help you create a noticeable web space and get yourself known. One great asset is surely the parallax effect that will impress and entice all your page guests. With XeOne, you can showcase all your essential content on the home page for better visibility and a higher chance for the growth. With all the convenient features in mind, anyone can manipulate XeOne and craft something outstanding out of it. Hence its multi-purposefulness, XeOne quickly adapts to your project with the included twenty demos and other ready-to-use sections. In addition to the aforementioned features above, XeOne is also responsive, retina ready, rocks a powerful and clean code, as well as dedicated support. 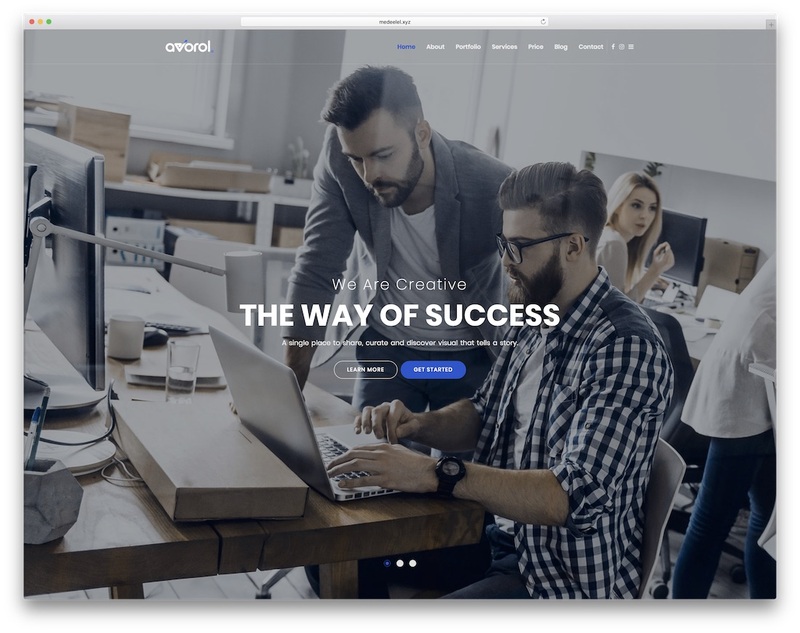 Avorol is a one-page website template with parallax effect that will serve you exceptionally well. There are many different pages you can build with quickly and effectively. Speaking of which, we need to thank the ready-made 33 demos which are prepared and fully equipped with the necessary for you to utilize. Aside from the front page designs, Avorol also has many other sections and inner pages for you to rock on your website. All the files and the entire code of Avorol are organized and well-commented for the ease of use. That said, feel free to adjust and modify it since it will not be hard at all. While you can sport the look of the demo you fancy the most, Avorol is fully modifiable interactive website template to fit your requests to the T. Filterable portfolio, back to top button, sticky navigation, full-screen slider, pricing tables and a working contact form, it is all there, at your fingertips. 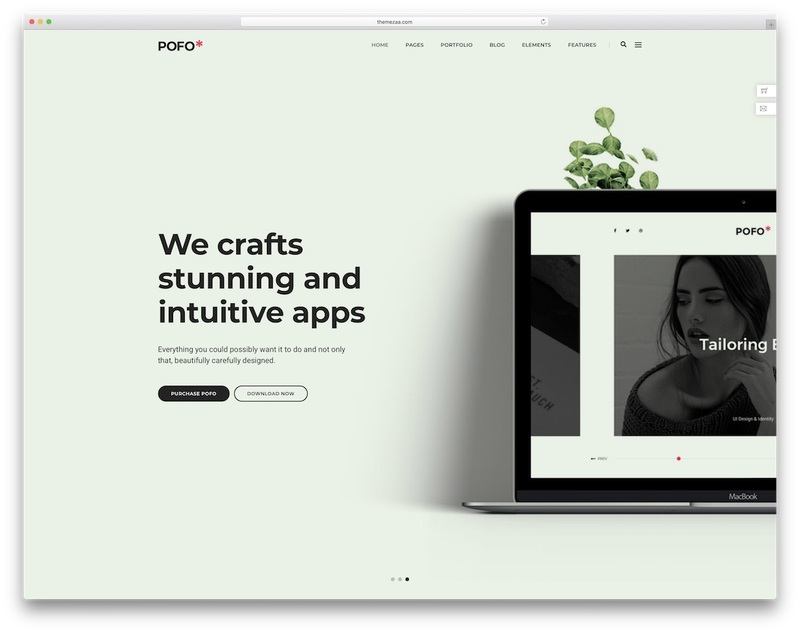 Pofo is one of the best selling interactive website templates. It is a multiple concept website template collection for agencies and startups. All the templates are neatly designed, with this template package you get both classic style templates and creative style templates. As you unzip the package you get 25 ready made homepage variations. 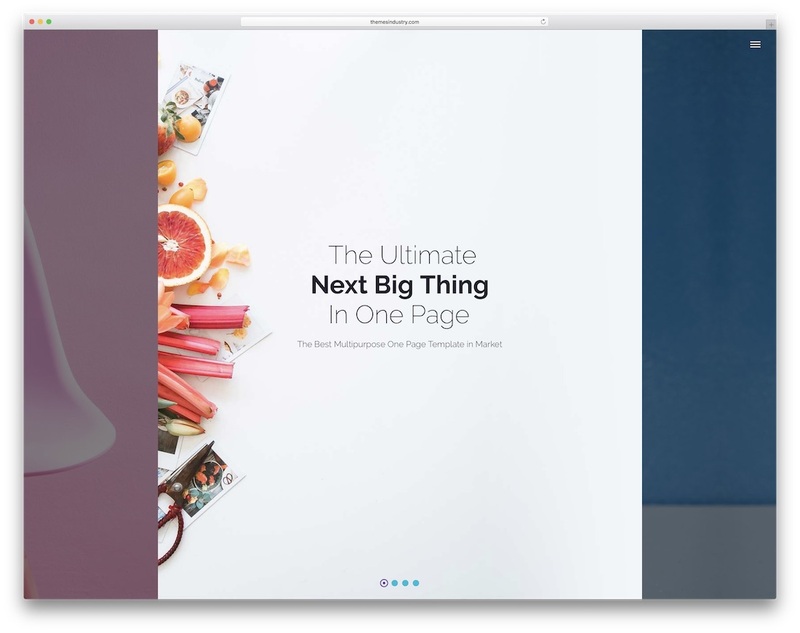 The homepage demos includes both the multiple page templates and one-page templates. Apart from the homepage variations you also get 210+ subpages. All you need to do is to add your contents and kick start your website right away. 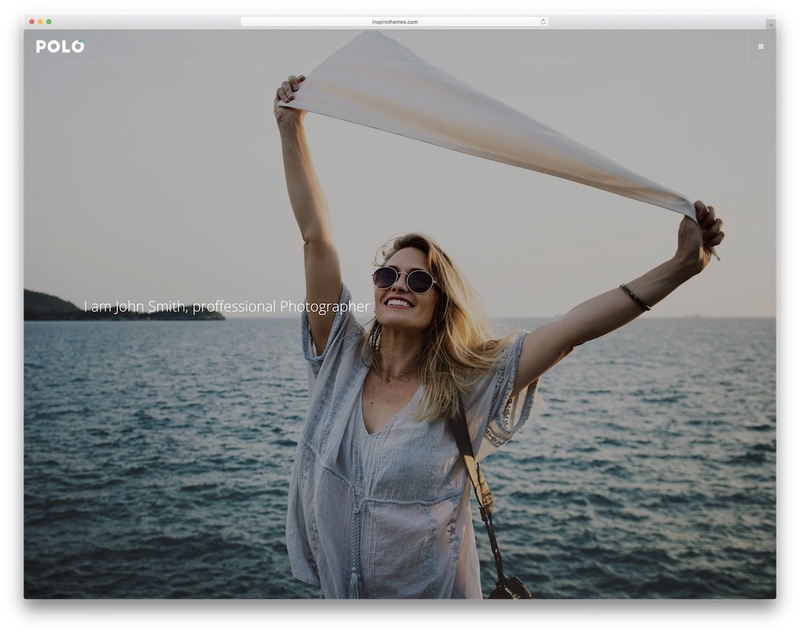 As a value-added feature, you also get Slider Revolution premium add-on with this template. This template is also available in the WordPress version with more premium plugins and useful plugins pre-integrated for you. Canvas is an another best selling interactive website template. You get plethora of templates for different niches designed pre-designed for you. All the templates similar design pattern, but different layouts. You get all the famous niches designed for you. 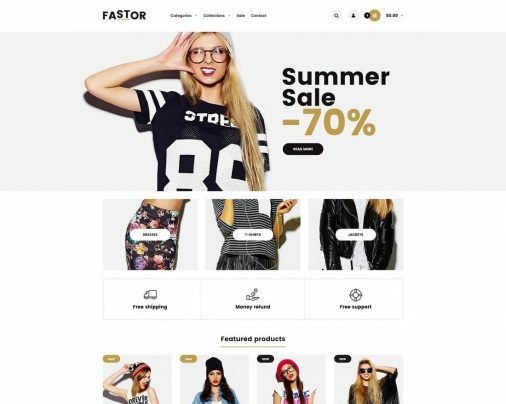 Like all other famous multi-concept website templates, this template also provides you both multi-page template and one-page template variations. It is a best value for menu website template. The template is developed on a well written code. So it is flexible, robust, and user-friendly. To add more value to your money, this template also includes premium add-ons like Slider revolution and Visual Revolution Slider editor. Since it is a multi-layout, multi-concept template you get plenty of web elements to choose from and you also get different navigation menu options. 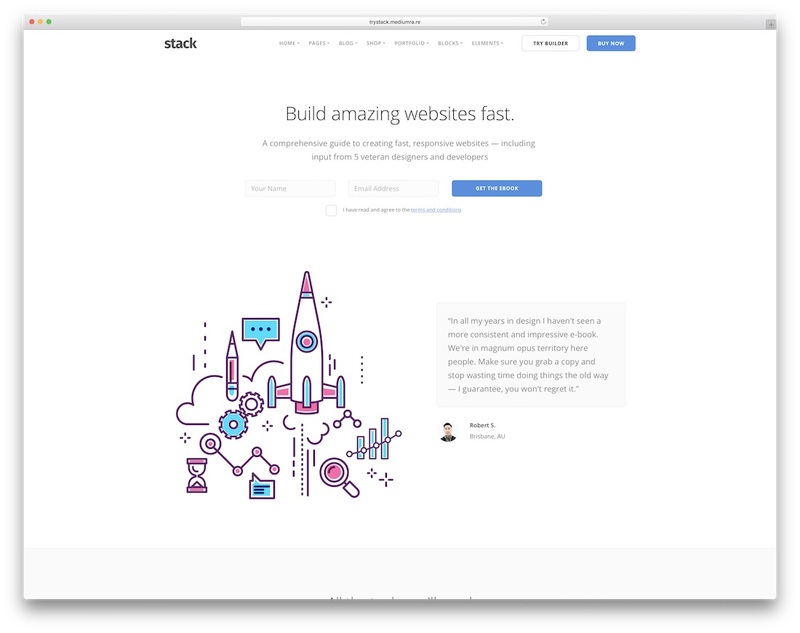 The Stack is a clean looking website template for professional sites, especially for software companies and startups. With its clean design, you get plenty of space to add more images and texts. Between each element, ample amount of space is provided, so no matter how many contents you add the template handles them smartly. With this template you get 32+ homepage variations, this includes both landing pages and multi-page variations. The unique point of this template is, it supports own page builder called Variant Page builder. All the web elements are provided as blocks, as of now the builder includes 280+ blocks. With this template you also get premium icon packs, to help you make a professional looking website. The template is flexible and user-friendly, this template does not have a CMS version. 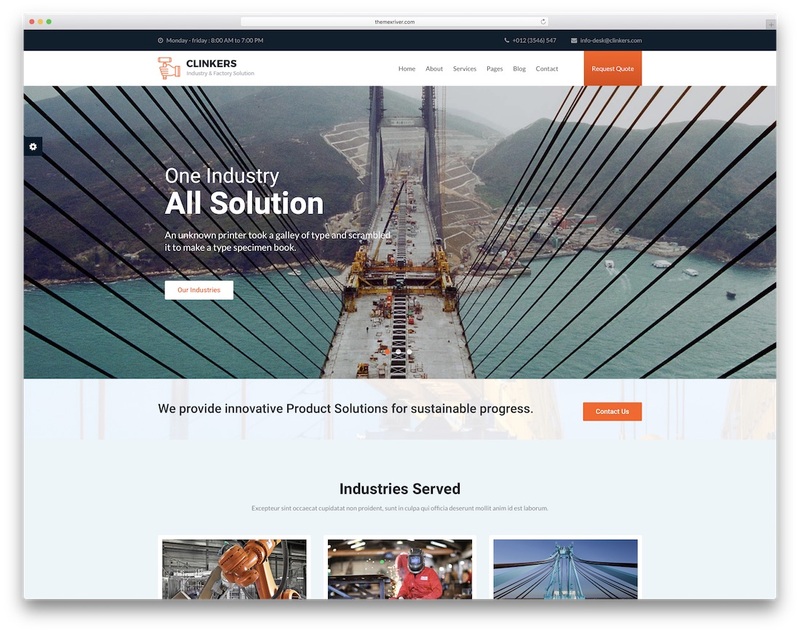 If you are interested in developing a CMS version of it, this template can handle it well enough to make an interactive website. 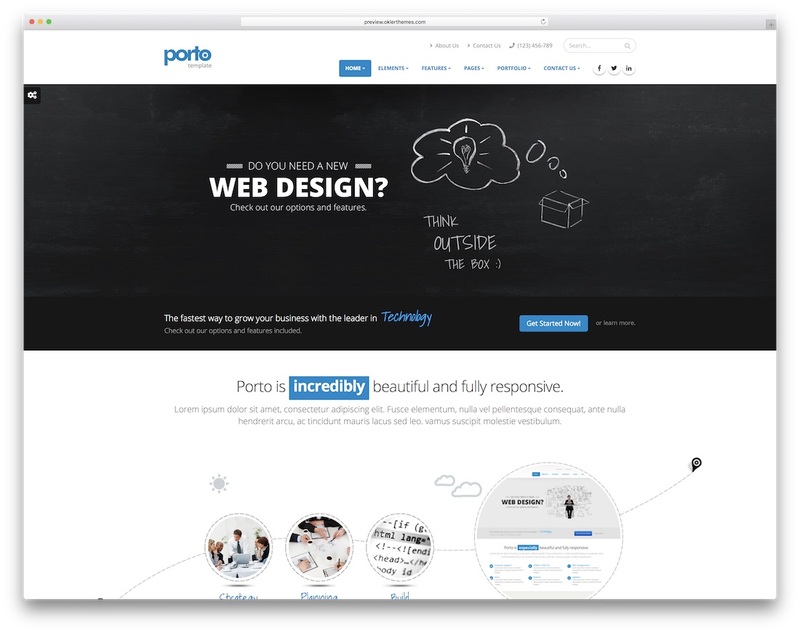 Porto is a multi-platform website template. 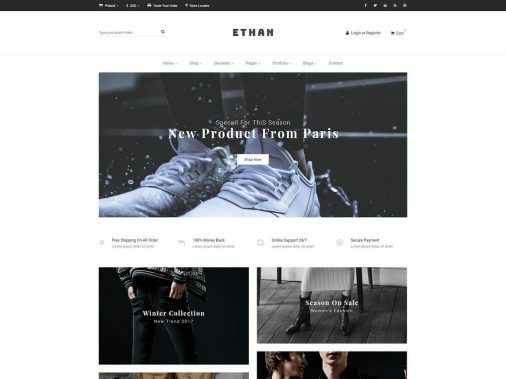 This template is not only available in the HTML version, it also available in WordPress, Magento, Drupal, Joomla, and Shopify. It has a wide choice, so you can choose whichever platform you want. The Porto includes eighteen homepage variations for different niches. Since it is a multiple concept website templates you get many useful web elements with this website template package. This is a flexible website template, you get an option to customize the color scheme of the template, border style, and layout style. Porto includes both light and dark skin variations in it. Other useful features you get Porto are, 500+ icons, different style buttons, and retina ready images. This template uses latest frameworks of HTML5, CSS3, and Bootstrap. Polo is a clean and fresh looking website template. Again it is one of the best value for money website template. Polo includes many interactive website templates for different niches. All the template follow different layout style based on the niche it was created. The Polo template includes 200+ demo layouts. You get plenty of web elements and features with this template package. Since you get shortcode option, you can add web elements easily wherever you want. Other than the homepage variations you also get nineteen stunning header styles. This is a flexible website template, which enables you to customize almost every part of the template. Cryptocurrency is the viral topic, which is growing in all fields. Even we made a post on making a bitcoin site, please take a look at it for more details. In web design also it has started to get momentum. Buy Coin is the template agencies and businesses related to cryptocurrencies. 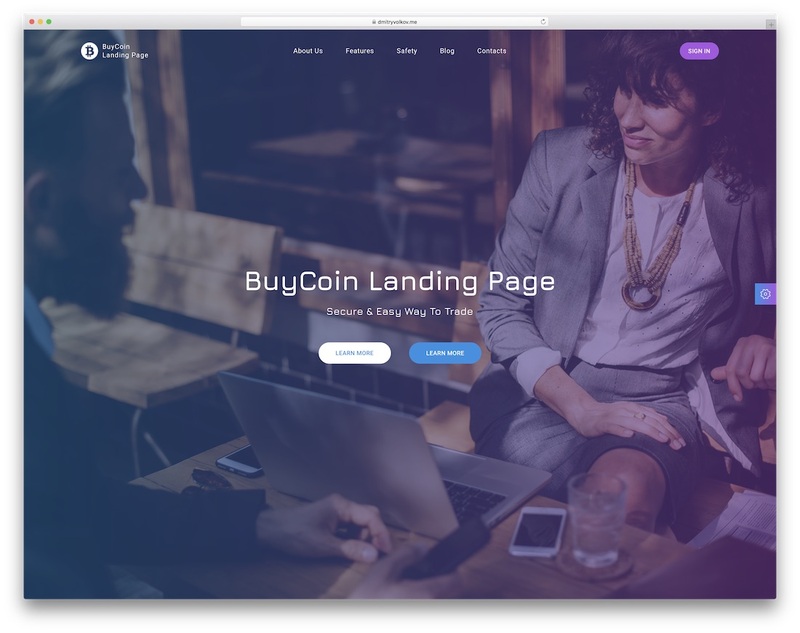 The Buy coin template includes three homepage variation, with almost similar layout design. The template follows the modern web design trends and uses strong coding base. It has many interactive web elements to help you create an engaging professional website. This template gives you the option to change the color scheme of the template. All the color schemes provided uses cool color gradients and there is no mono color variant. Other useful features you get with this template are carousel to indicate the market values of different coins. 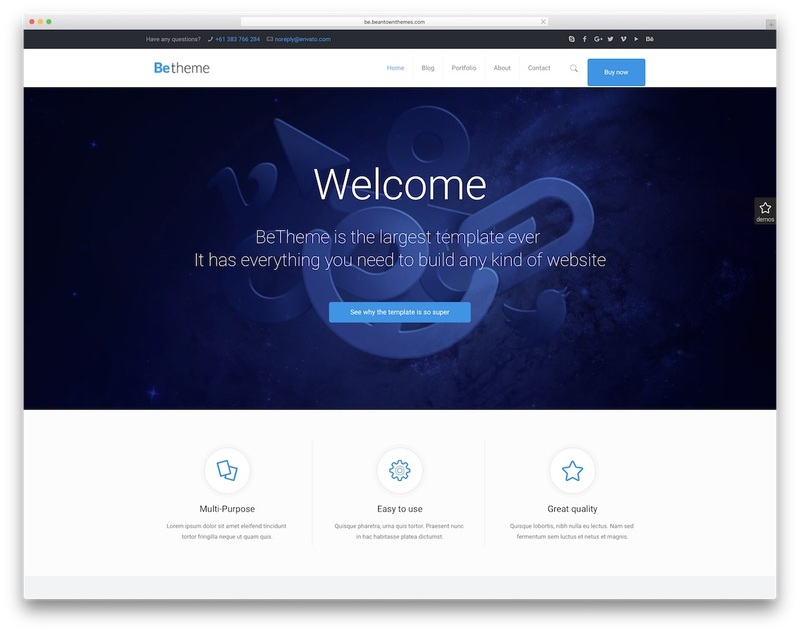 BeTheme is another all time favorite and best selling interactive website template. 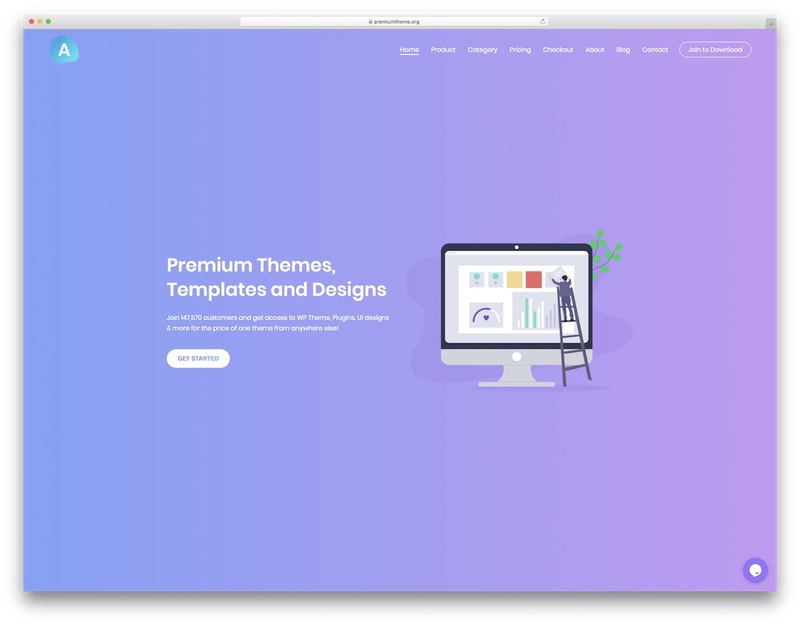 Name the type of template you need for a niche, surely it will be there in the BeTheme template collection. While writing this post, this template includes 300+ website variants with it. Yes, it sounds insane, but you have lots of options to choose from. On an average, for each niche, the BeTheme template includes nearly four template variation. All the template uses professional design and all the templates use different layout style based on the niche standards. Apart from the humongous homepage variations, you also get 20 customizable header styles. Other useful features you get to create an interactive website template are; mega menu option, interactive maps, scroll effects, animation effects and custom made professional looking icons. Coinex is an another cryptocurrency website template like the Buy Coin template. But with this template, you get more options and features you get in the Buy coin template. With this template, you get five homepage variations. 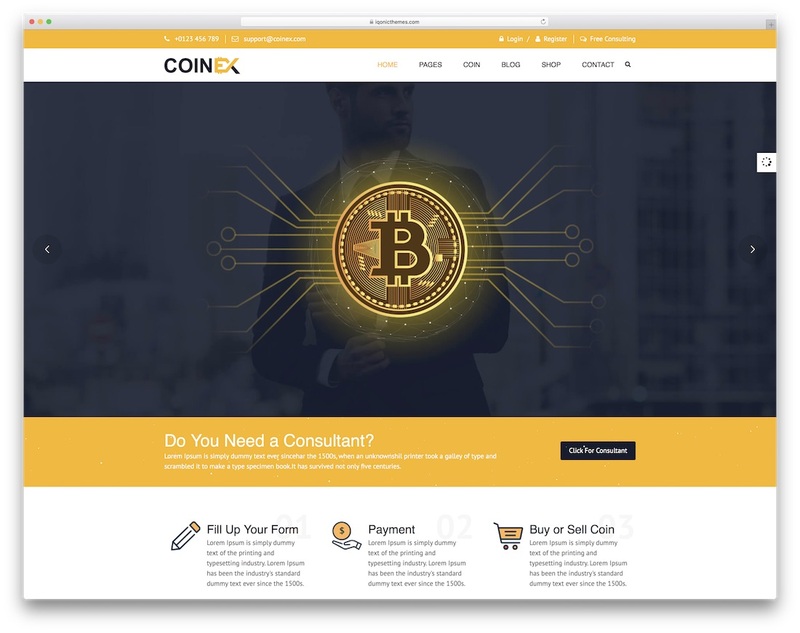 The coinex template provides both light and dark skin variations in all the homepage demos. All the template variations are multi-page templates, so you have plenty of pre-designed web page variations to choose from. Other useful features you get with coinex are neat looking visual effects, animated skill bars, interactive maps and parallax effects. To help you create interactive slider this template includes premium add-ons like Revolution slider and Own carousels. Cloudhub is a modern looking website template for hosting providing companies. 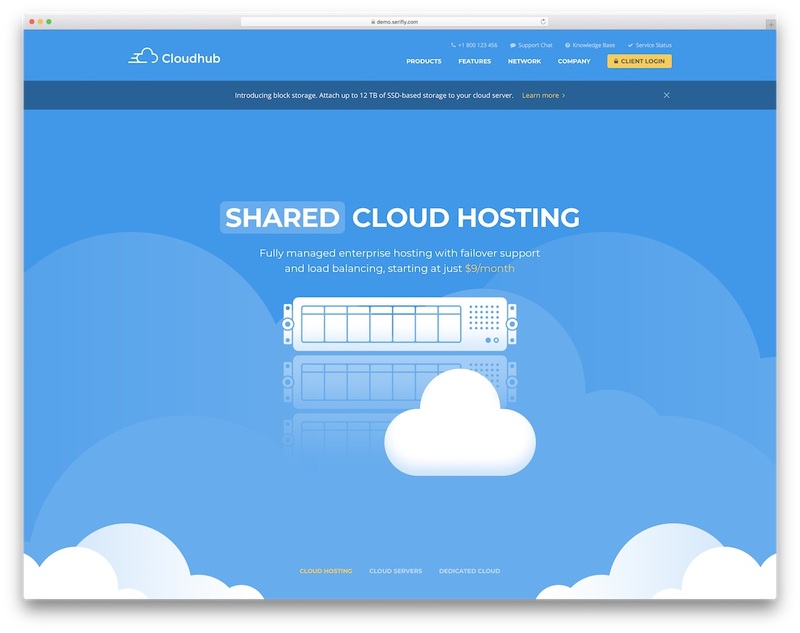 The cloudhub includes nine homepage variations. All the variations follow almost similar design layout, but with little design tweaks. Since it is a hosting website template, out of the box you get the WHMCS integrated into the template. By default, all the demo variations use blue and yellow color as the default color scheme, but you have the options to change the colors of the template. It is a multi-page website template, so you get all the necessary basic pages pre-designed for you. Other useful features you get with this template are custom made icons, pricing tables, and neat animation effects. 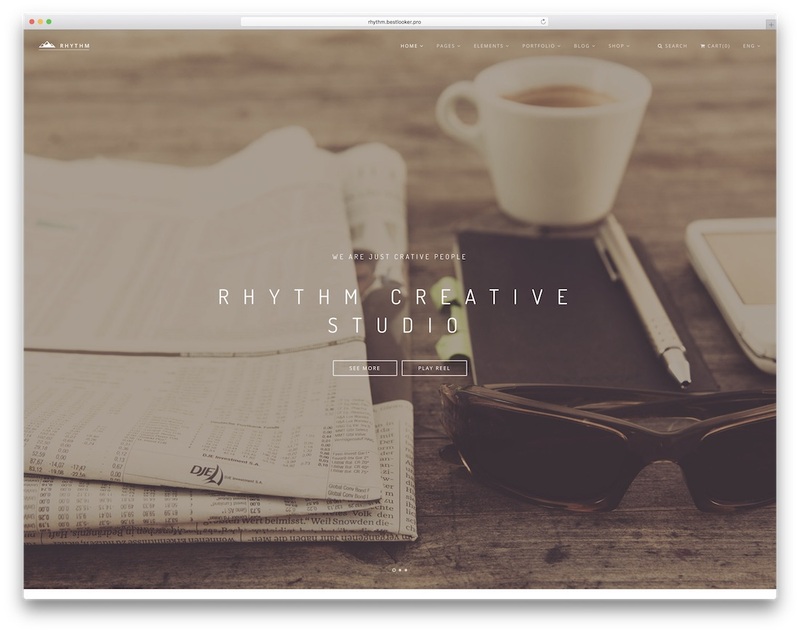 If you are looking for a clean and minimal looking interactive website template, then Rhythm is the one for you. Rythm template got an honorable mention on the Awwwards, do I need to further explain the design quality of the template? It is a multi-platform website template. This template is available in HTML format, WordPress, Drupal, and Joomla formats. It includes both light and dark skin variants in its package. The Rhythm template includes 50+ different demos bundled with it, all the templates uses different layout styles. 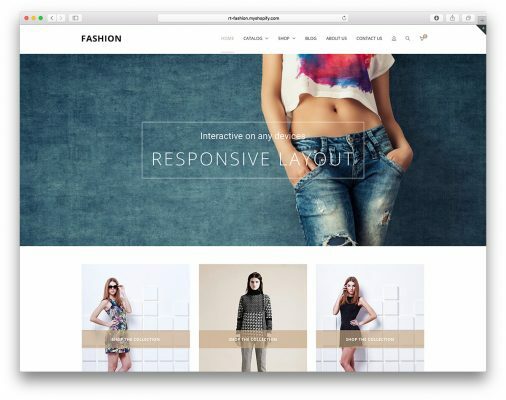 Apart from the homepage variation you also get nine header variations and separate page variations for e-commerce stores and portfolios. The Rhythm is one of the few interactive website templates that provide working contact forms. With this template, you get premium add-ons like Revolution slider and Mailchimp. Utouch is a perfect website template for software companies. This template is completely based on vector and icon design. It looks minimal, elegant and engaging this type of templates to help you to create an interactive website template that narrates about you to the user. In the header section, you have a big image slider with interactive transition effects and call to action buttons. The template uses modern trendy colors as the color scheme for the web elements and the background. Each segment in the homepage is differentiated with different color backgrounds. Since this template is based on the icon design, you get premium SVG icons package included in the package for you. To make this template you get interactive features like parallax scrolling, background variations, and neat animation effects. Arone is a fresh new template, which is trending now. The uniqueness of the Arone is all the templates in this package are one-page templates. Since it is a one-page website template, you get plenty of modern interactive web elements to attract visitors as soon as they land on your site. Design wise, all the template follows neat and clean design layout and almost all the templates follow same design layout with slight modifications. 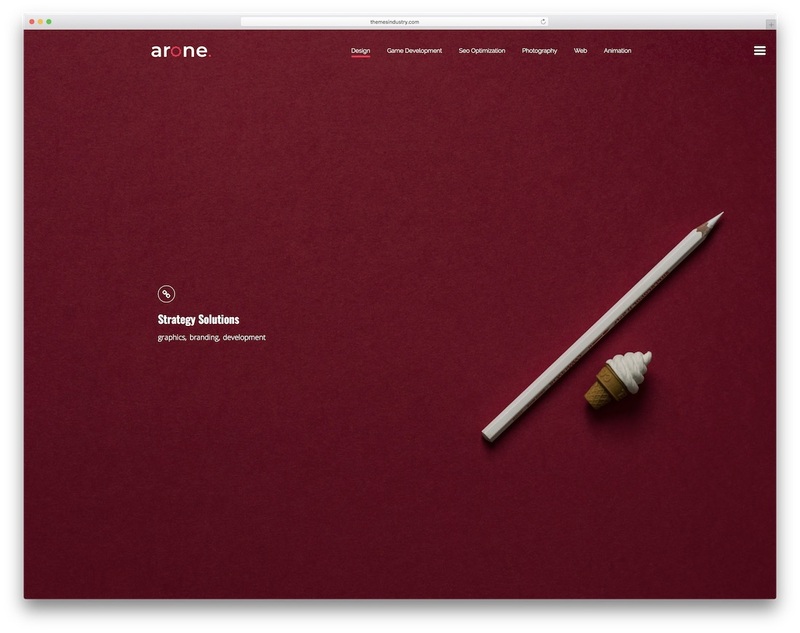 The Arone template package includes 25+ demo variations. It is a flexible website template, it allows to change the color scheme and the fonts. With this template, you also get premium addon Slider Revolution. Other than these features, it also includes common features like RTL support, mobile responsive and cross-browser compatible. 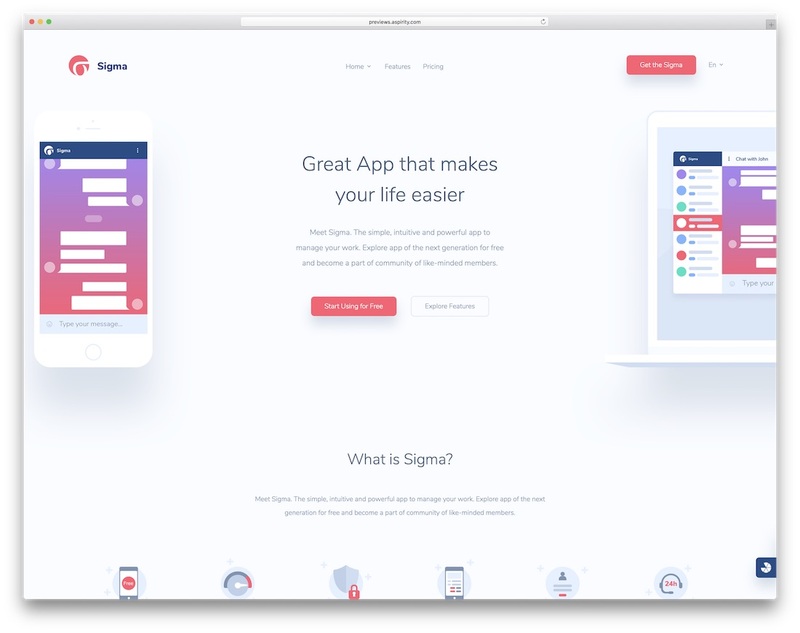 Sigma is a clean looking modern app landing page. It feels more or less like the empty page website template. The sigma template is simple and minimal looking. It shows only the information required by the user, no other extra stuff. If you are looking for a distraction website template for your software or product landing page, then Sigma would be a perfect choice. Since the design of the template is completely based on the minimal look, clean icons are used to indicate the features and services of the product. Sigma is a multi-page template, so you get plenty of minimal page templates along with this package. This template also provides you option for changing the color scheme of the template. In the provided color scheme option you also get cool gradients options.